On April 18, 1970, the Fillmore East presented one of the greatest shows in its storied history. We have the tapes. There are so many hidden gems in the Paste Vault, sometimes it’s hard to know which to dust off and which to leave for another day. As it happens, April 18 is one of the most remarkable days in the history of live music. A glance through the archive on this date finds performances by Mother Maybelle Carter in 1963, The Staple Singers and Rahsaan Roland Kirk in 1968, Janis Ian in 1976, The Beach Boys and Warren Zevon in 1980, Tears for Fears 1983, Neil Young in 1988, Ezra Furman in 2008, Gary Clark Jr. in 2012, and more. All are priceless documents. But nothing quite compares to the night at the Fillmore East in 1970 when Dizzy Gillespie opened up for Ray Charles. 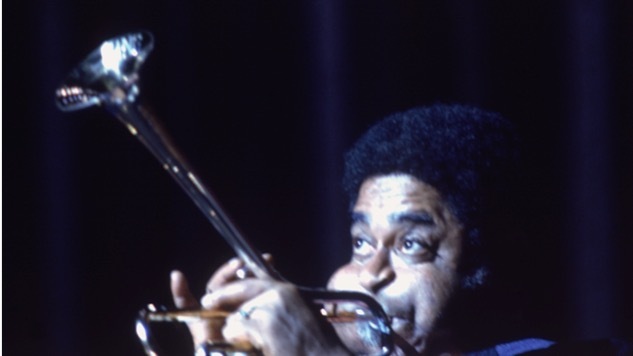 This performance, recorded on the final night of one of the most legendary bills Bill Graham ever presented at the Fillmore East, captures the 52-year-old Dizzy Gillespie and his Quintet in remarkable form. Graham was a renowned lover of Latin music and perhaps for that reason, Gillespie may have been encouraged to put a heavy emphasis on that material, which he was also recording for the Perception label around that time. This show is a captivating mix of jazz rhythms and melodies laced with Latin-tinged grooves. Among the highlights are “Matrix,” an adventurous track from Gillespie’s Real Thing album for the Perception label, as well as his homage to Dr. Martin Luther King, “Brother K,” and “Closer.” The music has minimal comparisons to the traditional bop-jazz sound that cemented Gillespie’s reputation. Following Gillespie were Ray Charles along with the Raelets and his remarkable orchestra. Discovered at the end of the Dizzy Gillespie master reels from this night, only the first 25 minutes of the performance seem to have survived on tape. But it is an astounding sequence, capturing one of the most electrifying evenings to occur on the Fillmore stage. 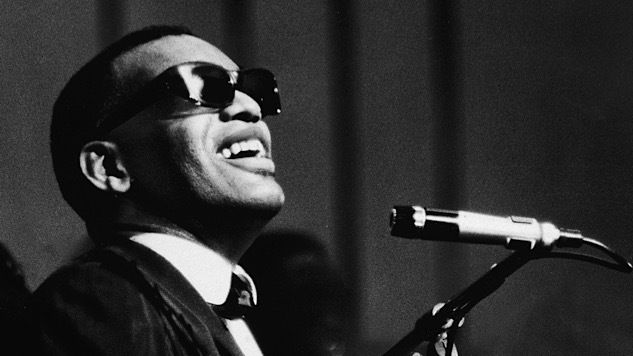 Following the Raelets showcase set, the orchestra again takes off into “One Mint Julep,” featuring more incredible horn arrangements, prior to introducing Ray Charles to the stage of Fillmore East. As Charles takes over on piano, everything kicks up a notch and they blaze into another incredible instrumental workout. There are several outstanding solos here, with Charles encouraging Leroy Cooper to take an extended baritone solo that stands out from the rest. Prior to the tape stock running out, one tantalizing song is captured featuring Charles’ utterly compelling and emotive vocal, “The Bright Lights And You Girl.” This is another outstanding performance that seems to effortlessly glide along with Charles’s distinctive flare. What remains is a superb document of one of the greatest performances ever to occur at Fillmore East.